Rusty Jacobs reports on the election for Wake County Sheriff and the challenge between the current sheriff and a retired deputy who worked under his command for many years. In an endorsement of his challenger, the progressive-minded Indy praised Harrison for talking thoughtfully about reducing the jail population. Harrison touted a program that diverts mentally ill arrestees to treatment centers instead of jail. "One, it would save me a lot of headache as far as numbers of people in jail, and it would save taxpayers money," Harrison said in an interview in his office. 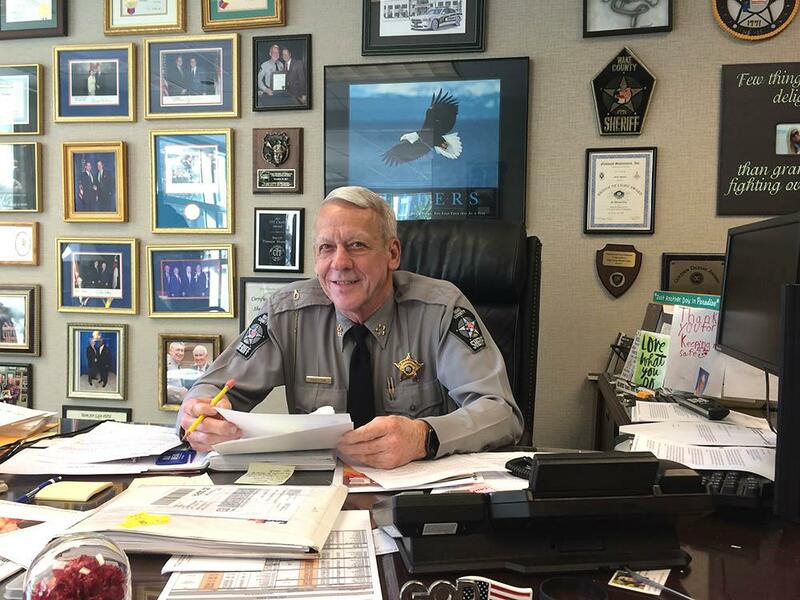 Wake County Sheriff Donnie Harrison. But Harrison has come under criticism for his support of the 287(g) program. Wake is one of just six North Carolina counties that partner with U.S. Immigration and Customs Enforcement to transfer arrestees believed to be non-U.S. citizens to federal custody. Harrison insisted the program helps keep his county safer. "If I turn a child molester or a bank robber loose, or whatever on the street, and I turn him loose because I didn't know who he was and he went down the street and robbed a bank or molested a child, who's going to be blamed for it," he said. 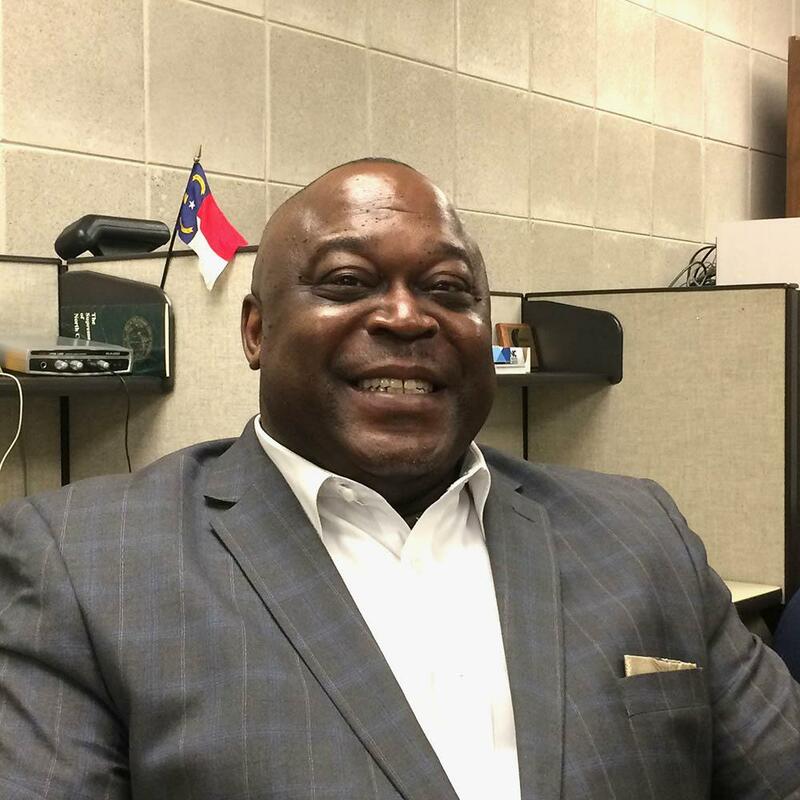 Harrison's opponent, Democrat Gerald Baker, spent 28 years with the Wake County Sheriff's office, serving as a line deputy on patrol, investigating robberies and homicides and supervising courthouse personnel. He first served under Sheriff John Baker, no relation, but he spent the last 15 years or so of his career under Sheriff Harrison. Gerald Baker is a candidate for Wake County Sheriff. 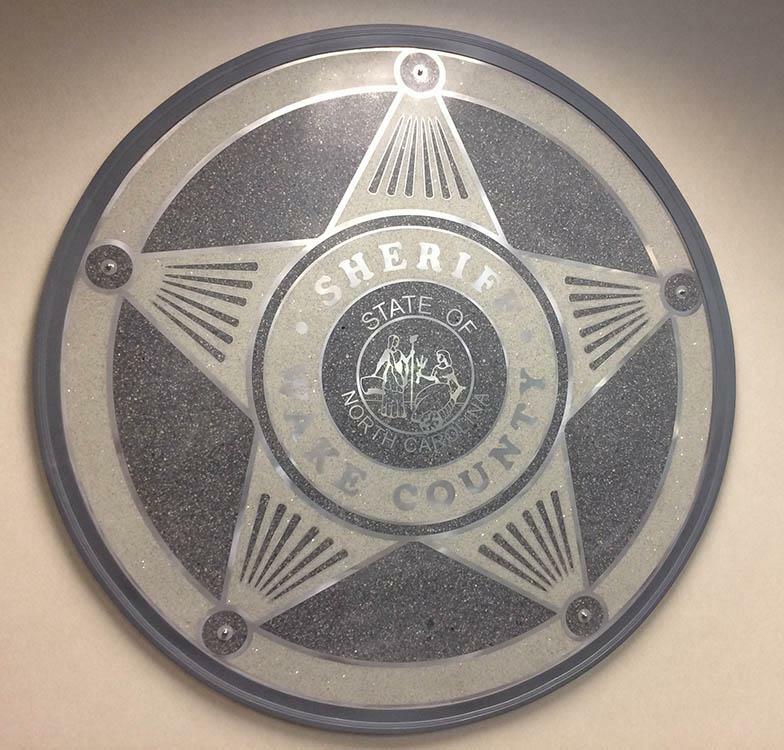 As sheriff, Gerald Baker said he would withdraw Wake County from 287(g). "You've got a guy who may get stopped out there for expired tags or no driver's license and he gets in there and they put that detainer on him and he may have a wife and whole house full of children, babies and everything else," he explained. Baker also said Harrison should have handled the Kyron Hinton case differently. In that case, a white sheriff's deputy and two former state troopers--one black, one white--face criminal charges for beating Hinton, who his black, during an April 2018 arrest. Harrison said he does not second guess his decision to put the deputy on administrative leave awaiting the outcome of court proceedings. Baker said he would have accepted greater accountability. "There are going to be times I hate to have to let this young man go but as a result, the totality, the decision should have been made to let him go," Baker said. Baker faces a tough road to victory because Harrison is a well-funded, established incumbent.